- In the early days of his singing career, Joe Lynn Turner was best remembered for his stints with US radio rock band Fandango but more importantly was the replacement for Graham Bonnet in Rainbow. Appearing on a handful of albums, Joe went solo when Rainbow hit the wall (or was it Ritchie? ), and this first effort is an unsung closet AOR classic that diehard fans swear by. The lineup on the album is some of the best that could be assembled out of New York: Messano fresh from Franke And The Knockouts, Greenwood from SPYS, and Burgi from Balance. Wow! Firing up with the hi-tech babble of 'Losing You', sounding as if it could be SPYS circa 1985!!! Messano's guitar salvos throw comparisons to Bob Kulick. The restrained 'Young Hearts' is a smooth mid-tempo radio friendly piece, which is then followed by one of AOR's standout moments.. the essential listening of 'Endlessly'. Check this track out. Perfect stuff, especially the chorus and that magic bridge section. Through the middle of the album, the songs take a tougher stance: 'Rescue You' and 'Get Tough' literally up the ante, though the melody is always prevalent. A fitting finale is the trio of tracks which finish up the album: 'On The Run', the Rainbow like commercialism of 'Soul Searcher' and the aptly named 'The Race Is On' (to the finish no doubt). All excellent rockin' tracks. 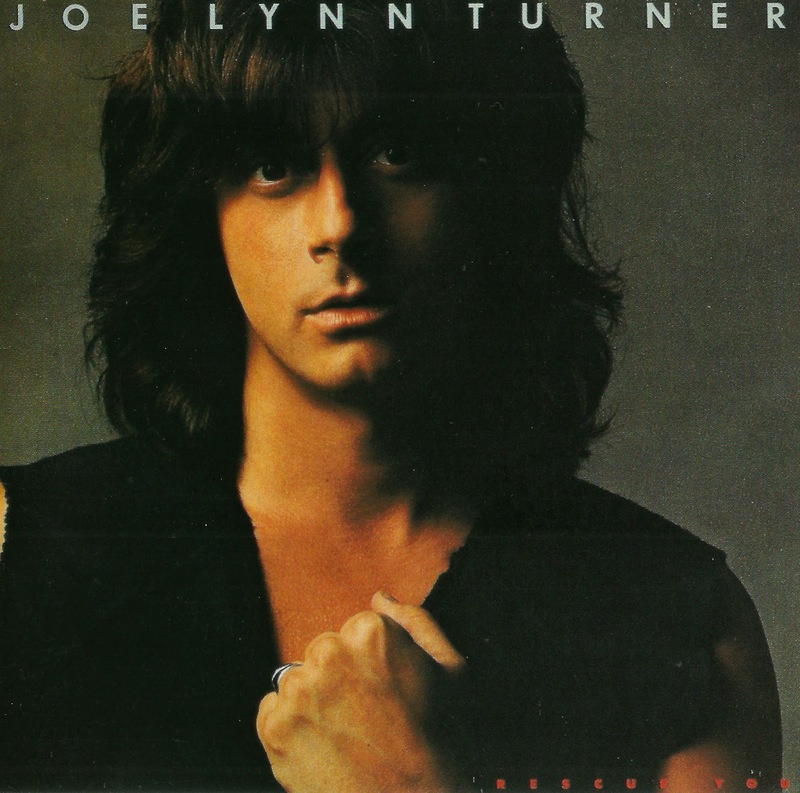 - In a career that spans nearly 30 years and includes over 60 album credits, Joe Lynn Turner remains one of rock and roll's most distinctive, soulful and expressive vocalists. After Fandango split, in the first of two incredible twists of Fate, JLT received a phone call from legendary guitarist Ritchie Blackmore. Turner's work with Fandango prompted an audition and Blackmore was so impressed that he immediately enlisted Joe in Rainbow, a band that he formed after he left Deep Purple. Ironically, Joe spent his formative years covering Deep Purple songs and now he found himself fronting a band with two former members: Blackmore and Roger Glover. Rainbow, while popular in Europe and Japan, had not garnered the same level of notoriety in the U.S.A. It was Turner's contributions that helped catapult the group to a new level of success. Several JLT-infused album tracks reached the Top 20 on rock radio charts. "Stone Cold" was Rainbow's first Top 40 pop radio hit and the band's innovative videos were in heavy airplay rotation on MTV (Music Television). Turner co-wrote and/or sang on Rainbow singles that helped define the melodic rock genre: "I Surrender," "Can't Happen Here," "Jealous Lover," "Death Alley Driver," "Street of Dreams" and "Can't Let You Go." In 1984, Blackmore reunited with Deep Purple. This gave Turner freedom to work on his first solo album, "Rescue You," produced by Roy Thomas Baker, known for his work with Queen and The Cars. JLT co-wrote most of the songs with keyboardist Al Greenwood (Foreigner). The first single, "Endlessly," received extensive airplay on radio and MTV. A tour with Pat Benatar and acting role in the movie, "Blue Deville" followed. Turner also proved his versatility by working with a diverse array of artists, including Billy Joel, Cher, Michael Bolton, Mick Jones (Foreigner), John Waite (The Babys). Bolton also encouraged him to enter the lucrative business of singing and doing character voices for radio and television. This would afford Joe a steady income that was not reliant on the commercial success of any band or project he decided to get involved with. In 1987, JLT became a member of YngwieMalsteen's Rising Force. Their union resulted in "Odyssey," the most commercially successful album for Malmsteen up to this point in history. A follow-up world tour was highlighted by ten "sold out" shows in Russia that were recorded for the "Trial By Fire: Live in Leningrad" album and video. Turner continues to record and collaborate on a massive number of other artist's CDs and tribute albums. He is one of the key members of Brazen Abbot, a project spearheaded by Bulgarian guitarist/composer NikoloKotzev. JLT co-wrote and sang tracks on several albums and is spotlighted on the DVD "A Decade of Brazen Abbot." His schedule is constantly booked with studio session work. It's difficult to listen to the radio or watch TV in the U.S.A. without hearing his voice coming out of the speakers on a commercial. In fact, one of his beer adverts in Japan, "Challenge Them All," became a popular rock radio anthem. 2006 turned melodic rock fan on to the Sunstorm project. Serafino Perugino (Frontiers Records President) and Mario de Riso (Frontiers Label Manager) used to exchange tapes as fans. One day, Mario gave Serafino a cassette he had from a journalist, with the "unreleased Joe Lynn Turner" second solo album demos. This tape featured some songs originally slated for release on the follow-up to "Rescue You" in the mid-1980s. Taking inspiration from the material available, Perugino reconnected Joe Lynn with Jim Peterik, the legendary songwriter (ex SURVIVOR) with whom he collaborated with several years ago in Deep Purple. Turner went through some of the material sent by Peterik, along with a few other tracks submitted by Perugino and agreed to give birth to a project that could rediscover and highlight his melodic rock roots. "Sunstorm" was released worldwide in the Fall of 2006 and it has received rave reviews from critics as well as fans. The follow up, "House of Dreams," was released in 2009. If all of this is not enough, JLT performed with the New Japan Philharmonic and went on tour with Turkish guitar virtuoso CemKoksal. He also traveled to Nashville to form and record some video with Big Noize, a band that includes: JLT, guitarist Carlos Cavazo (Quiet Riot), drummer Vinny Appice (Dio/Black Sabbath), bassist Phil Soussan (Ozzy Osbourne/Billy Idol) and keyboardist Gary Corbett (Cinderella/Lou Gramm). In 2007, he released his 10th solo album, "Second Hand Life" in Japan, Europe and the USA. Among the highlights on the record is a song he wrote with Blackmore and Glover in the early 90s during his Deep Purple days called "Stroke of Midnight." Other tracks include collaborations with Jim Peterik (Ex-Survivor), Martin Briley, Jack Ponti (who wrote several songs forBonjovi) and former TV star, Deanna Johnston (Rock Star: INXS). JLT's Big Noizesupergroup project played several dates in the USA in 2008. In the Fall, they traveled to Iraq and Kuwait to entertain Multi National forces. The Fall of 2008 saw the release of his first ever live CD, "Live In Germany." The formation of Over The Rainbow also garnered international news in October 2008. Turner continues to be a multi-dimensional artist, never limiting his options and experiences in other types of music besides hard rock/melodic rock. He has been doing a lot of writing with artists who specialize in non-rock music genres with the goal of branching out, recording some of this material for either future releases or films. He's also a superstar in Russia and other Eastern European countries as a solo artist and spent part of 2010 and 2011 touring those regions. Summer 2011 saw JLT performing with the Spectra All Star Rock Tour---a diverse collection of artists best known for their hits in the 70s, 80s and 90s. In early 2012, Frontiers released Joe's third Sunstorm (project) album entitled, "Emotional Fire." JLT played many shows throughout the world in 2013. Early in the year, he rejoined the Voices of Rainbow, with ex-Rainbow vocalists Graham Bonnet andDougie White in Japan. In the USA, Joe was a featured singer/performer in the Raiding The Rock Vault Show in Las Vegas, Nevada. In 2014, he recorded with a project launched by Frontiers Record Company called Rated X. RATED X is an exciting and fresh new band built around the talents of four heavy-hitters of American hard rock. Besides JLT on vocals, Rated X features guitarist Karl Cochran (Ace Frehley), fretless-bass player Tony Franklin (The Firm, Blue Murder, Whitesnake) and drummer Carmine Appice (Vanilla Fudge, Rod Stewart, Ozzy Osbourne, Blue Murder, King Kobra). 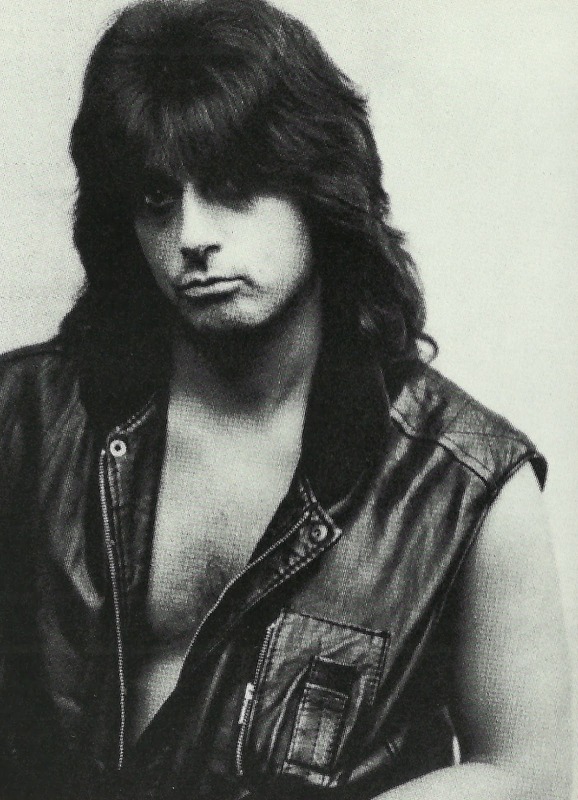 - Joe Lynn Turner, born Joseph Linquito in Hackensack, New Jersey, has made his more than substantial mark on the Rock world by initially fronting FANDANGO (after first playing in the Tri-State Hard Rock outfit EZRA) in the late 70's. He then took Ritchie Blackmore's RAINBOW to increased commercial success, superseding IAN GILLAN in DEEP PURPLE for the 'Slaves And Masters' album and later vocalising for Swedish axe maestro YNGWIE MALMSTEEN. Turner had joined RAINBOW in 1981, replacing GRAHAM BONNET, scoring a number of high profile hit albums and singles such as 'I Surrender', but parted company with the Blackmore led troupe in 1984 when the band officially broke up. The singer started work on a solo project and demos that the singer recorded with ex-BALANCE guitarist Bob Kulick gained the interest of Geffen. The label were keen on teaming Turner with STARSHIP guitarist Craig Chaquico and the man also fielded calls from SURVIVOR, TOTO and the DRIVER alliance of Rudy Sarzo and Tommy Aldridge but Turner was intent on pursuing his own project. With a deal from Elektra Joe eventually commenced work on an album with erstwhile FOREIGNER and SPYS keyboard player Al Greenwood, former BALANCE and RAINBOW drummer Chuck Burgi and journeyman guitarist Bobby Messano (STARZ, TYCOON, FRANKE & THE KNOCKOUTS and FIONA). Roy Thomas Baker was hired to produce. 'Rescue You' emerged in 1985. During 1986 Turner busied himself co-writing songs for Canadian songstress LEE AARON for her self-titled album of the same year. Tracks for a proposed follow up to 'Rescue You' were also cut, but shelved. He also worked with BONNIE TYLER during 1987 before forming a new group with ex-SWIFT KICK guitarist Tony Bruno, erstwhile TALAS bassist Bruno Ravel, POP'S A ROCKER drummer Chuck Bonfante and former FOREIGNER man Al Greenwood. However, Turner had parted company with Elektra and would soon establish links with YNGWIE MALMSTEEN. 1988 found Turner as frontman for YNGWIE MALMSTEEN recording the 'Odyssey' album, the Swedish guitar maesto's most commercially sucessful outing to date. A lengthy world tour, captured on the 'Live in Leningrad' album, took Turner and Malmsteen's relationship to breaking point and the pair split amidst bitter recriminations. The 'Nothing's Changed' album, co-produced and featuring guitar by ex-ASIA man Al Pitrelli saw Turner collaborating on the songwriting front with Paul Sabu. The session rhythm section was made up of bassist Greg Smith and drummer John O Reilly, both of whom would join RAINBOW and BLUE ÖYSTER CULT. 1997 found Turner laying down vocals on the extremely RAINBOW sounding third BRAZEN ABBOT album 'Bad Religion'. The singer also accompanied the band for a short German acoustic tour that winter. During 1998 Turner emerged fronting an outfit of significant pedigree titled MOTHER'S ARMY, a band that made quite an impact in Japan. His esteemed colleagues for this venture were ex-OZZY OSBOURNE, RAINBOW, URIAH HEEP and YNGWIE MALMSTEEN bassist Bob Daisley, veteran ex KING KOBRA, OZZY OSBOURNE and CACTUS drummer Carmine Appice and NIGHTRANGER guitarist Jeff Watson. The man's 1999 'Hurry Up And Wait' record found Turner reworking the track 'Too Much Is Not Enough' from DEEP PURPLE's 'Slaves And Masters' album. The 1999 'Undercover 2' album sees a collection of covers including tracks by UFO, STEPPENWOLF, THIN LIZZY, DEEP PURPLE, FREE, WHITESNAKE & RICK DERRINGER. Contributing musicians included LIVING COLOR's Vernon Reid and MOUNTAIN's Leslie West. The only original song on the album was one of Turners- 'The Race Is On', from his own debut solo album. The same year Turner guested on the HELLCATS 'Hellcats II' album. March of 2000 found Turner in alliance with GLENN HUGHES and TOTO man BOBBY KIMBALL for a live acoustic concert for the American 'Rockline' radio station.Turner's 2000 studio album 'Holy Man' includes guitar contributions from MANDRAKE ROOT's Akira Kajiyama, Andy Timmons, Joe Bonomassa and SAVATAGE and MEGADETH man Al Pitrelli. Turner also put in an appearance on NIKOLO KOTZEV's epic 2001 'Nostradamus' album. The man would appear on another record the same year albeit in somewhat exceptional circumstances. The radio station WDHA's 'Tour Bus' show had aired a live session from Turner that prompted such an unanticipated degree of feedback that Turner's live take on 'Stone Cold' would be the catalyst for a whole album 'The Tour Bus- Road Trip'. Turner returned to studio action for a September solo release 'Slam' issued by MTM Music in Europe and Pony Canyon in Japan. Featured musicians were guitarist Akira Kajiyama, bassist Eric Czar, former RAINBOW keyboard player Paul Morris and drummer Kerry Kramme. Fans would also be excited to learn that Turner had plans to record a duet album with one of the other great Rock voices GLENN HUGHES, the debut HUGHES TURNER PROJECT album emerging in February of 2002 followed by dates in Japan. So successful was this union that a live album was spawned too, the pair delivering a collection of vintage solo material as well as DEEP PURPLE and RAINBOW classics. Joe announced the recording of a new solo album in early 2003, the singer utilising the talents of SAVATAGE guitarist Al Pitrelli and former RAINBOW drummer John O'Reilly for this outing. Turner donated guest lead vocals to the track 'Daddy, Brother, Lover, Little Boy' on the 2003 MR. BIG album 'Influences And Connections'. Rumours abounding in October pointed to a fresh band union comprising Turner, ex-WINGER and DOKKEN guitarist REB BEACH working alongside the erstwhile QUIET RIOT rhythm section of bassist Rudy Sarzo and drummer Frankie Banali. However, this proposal soon collapsed. In 2004 Turner would partner with guitarist RICHIE KOTZEN for a rendition of AC/DC's 'Highway To Hell' included on the Rufftown 'We Salute You' tribute album. The singer also formed a new live band the N.Y.C. HITSQUAD including the JOAN JETT credited guitarist Ricky Byrd and longtime Billy Joel band drummer Liberty DeVitto. During October Turner featured in an unusual collaboration, uniting with GLENN HUGHES once again, working with producer Alexander Berezhny to record songs for a Russian album release of songs penned by Moscow mayor Mikhail Men. JOE LYNN TURNER returned in February 2005 with a new, Bob Held produced solo album, entitled 'The Usual Suspects', for the Italian Frontiers label. Featured studio musicians would include Al Pitrelli of MEGADETH and SAVATAGE repute together with the ACE FREHLEY credited Karl Cochran both on guitar, David Z on bass, RAINBOW veteran John O'Reilly on drums, Paul Morris and Andy Burton on keyboards with Nancy Bender assisting with background vocals. The singer also lent vocals to a version of 'All Shook Up' included on the MICHAEL SCHENKER 'Heavy Hitters' covers album and featured on the 'Axes To Axes' debut solo album from TWISTED SISTER guitarist EDDIE OJEDA. In November it was revealed that Turner had guested for noted Japanese guitarist AKIRA KAJIYAMA, featuring on all the songs on his 'Fire Without Flame' album, simply credited to AKIRA KAJIYAMA & JOE LYNN TURNER. A further revelation came when it was announced the singer had re-forged links with RAINBOW mentor Ritchie Blackmore, cutting a duet with Candice Night on a re-work of RAINBOW's 'Street Of Dreams' for the BLACKMORE'S NIGHT album 'Village Lanterne'. Turner undertook a joint tour of Turkish universities with guitarist CEM KȪKSAL throughout May 2006. June would see a resurrection of archive material in a re-worked format. 1986 era tracks for a proposed follow up to the 'Rescue You' album were re-recorded and and re-worked by SURVIVOR guitarist JIM PETERIK to be issued under the project title SUNSTORM. Produced by PINK WARD 69's bassist Dennis Ward, the songs were re-recorded by a German cast comprising guitarist Uwe Reitenauer, keyboard player Jochen Weyer and drummer Chris Schmidt. Turner joined the New Japan Philharmonic on August 4th for a concert dubbed 'Tribute to RAINBOW: Over the Rainbow' at the Tokyo Geijyutsu-Gekijyo in Japan. The vocalist announced that same month. BIG NOISE comprised a cast of elite players involving QUIET RIOT guitarist Carlos Cavazo, OZZY OSBOURNE and BILLY IDOL bassist PHIL SOUSSAN, the CINDERELLA credited keyboard player Gary Corbett and drummer Vinny Appice, a veteran of DIO, WWIII and BLACK SABBATH. This project's first endeavour would be the making of a DVD for the corporate concert industry. The singer featured on the VAN HALEN song 'Dance The Night Away' included on the tribute album '80s Metal Tribute To Van Halen' released by Deadline Records in September 2006. Another diversion for Turner would involve tracks laid down for solo work conducted by ex-HEART guitarist Howard Leese, these including a song as a duet with 'Rock Star' finalist Deanna Johnston. 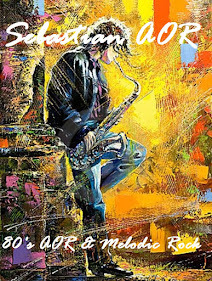 A fresh solo album, entitled 'Second Hand Life', boasted songwriting contributions from SURVIVOR and PRIDE OF LIONS man Jim Peterik, Bob Held, Karl Cochran, MARTIN BRILEY and a track that was written by Ritchie Blackmore, Jim Peterik, DEEP PURPLE's ROGER GLOVER and Joe entitled 'Stroke Of Midnight'. The recording band comprised Karl Cochran on guitars and bass, Bob Held on bass, Gary Corbett on keyboards plus Michael Cartellone, of DAMN YANKEES and LYNYRD SKYNYRD, on drums. Russian shows in February 2007 saw Turner backed onstage by Moscow's GREEN TOWN. Joe Lynn Turner undertook Japanese gigs in May and June partnered with another ex-RAINBOW singer, GRAHAM BONNET's new version of ALCATRAZZ. Turner's live band comprised guitarist Akira Kajiyama and GERARD band members bassist Atsushi Hasegawa, keyboard player Toshio Egawa, also being ex-EARTHSHAKER, and drummer Kenichi Fujimoto. In July 2008 Turner unveiled two projects, a solo concert recording entitled 'Live In Germany', recorded at the 'United Forces Of Rock' festival in Ludwigsburg on 30th September 2007, for October release and a second album from SUNSTORM. Like the SUNSTORM debut, this second opus comprised archive tracks from Turner's vaults re-recorded. In September Turner performed live in Europe as part of the 'Classic Rock Nights' pacage alongside JIMI JAMISON and ORLEANS.